Now I’ve never been into Andrew Lloyd-Webber musicals, but this one is, in my opinion, a masterpiece – musically, and particularly due to the lyrics by Tim Rice, screen version by Melvyn Bragg. Click on the link for not the most spectacular number of the musical, but certainly one of the most thought-provoking: Played by the inspired Barry Dennen, Pontius Pilate’s Dream. As you read this, my dear parents are midst-Good Friday Mass: Listening to the long, long Gospel readings of Good Friday, in the Catholic Church unique in the whole year’s readings in that they’re delivered as a dialogue between at least two readers, including a verbal recreation of Jesus’ trial scene where, though Pontius Pilate tries to help him, Jesus doesn’t accept his help. 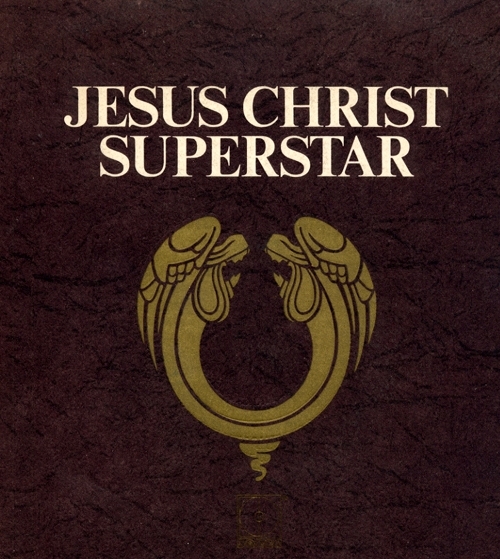 I find it oddly apt that this single ‘theatrical’ element in the Church Year was introduced to Easter ceremonies shortly after the release of Jesus Christ Superstar – the Rock Opera that even mild-mannered, middle-aged Catholics were talking about in 1973. If you’re a fan of great guitar music or just great music in general and have never seen this film, hire it on DVD. If you saw it ages ago, hire it again: For, in terms of music (not to mention lyrics, acting, costume and locations), it is, in a word, Marvelous. Ah, from the days when the electric guitar was a political statement, an assertion of the new dominance of Youth. 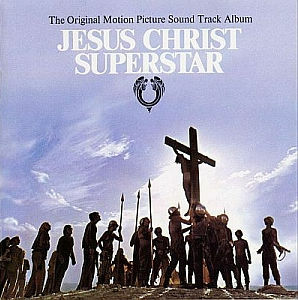 Now I think of it, they even played electric guitars at Mass in those days… Indeed, this film had no small cultural impact in 1973: It wasn’t just Rock Opera, but a Rock Opera about Jesus Christ. Nuns went to see it! By association, it lent Rock (up till then ‘the Devil’s music’) a sort of holy validity. For a moment, Christ was Cool. A Young Man. Who came to buck the Establishment, to threaten the existing Church because it was Corrupt Old Men. Because a brand-new one was needed. He could come back today and do Exactly the same thing. In any case, it seemed that Father O’Casey thought electric guitars might get the Youngsters back in to church on a Saturday night… And the old boy was right!